Spend a little bit of time in the company of like-minded folk and sooner or later the controversial topic of psychic protection will come up. Many psychics, readers and mediums insist on performing some kind of psychic protection ritual before doing any kind of spiritual work; others, however, believe this is an unnecessary distraction which sows fear and mistrust. So what is psychic protection, and is there any evidence that it’s needed? If you want it, how do you get it? Let’s find out. Protection from Who, or What? Negative entities in this context might mean demons, negative elementals or dark forces of some other kind. It’s worth noting, however, that the concept of dark entities depends on your own religious faith (or lack of one). It’s entirely possible to be both spiritual and psychic without being religious, and for those who do not have a religious faith, the fear of demons and dark entities is much less pronounced. If you are working or developing as a medium, some believe that evil or negative spirits of deceased people could affect, interrupt or harm you. The theory here is that if someone did evil on earth, they continue to do so in the spirit realms. However, it should be noted that this is entirely contrary to spiritualist beliefs – in spiritualism, those who perpetrate evil on earth learn from this in the spirit realm, and all spirit is love. There is no spiritualist concept of evil spirits or harmful spirits, so mediums who believe this are probably not spiritualists as such. The third kind of protection is from the negative thoughts, wishes and auras of the living people around you. Some believe that asking for psychic protection will keep their own aura pure; however, just as many others believe that this is a very unspiritual thing to do, as we should be reaching out to and embracing those who need help, not trying to keep them at a psychic arm’s length. There are many different methods of asking for or seeking psychic protection. Some psychics and mediums will do this through a short prayer. Many do it through visualization of some kind, for instance by visualizing a pure white bubble of light around them through which nothing but good can penetrate. Others will use crystals or spells for psychic protection, or will simply affirm before working that they wish to work only with those who have the highest intent. Many psychics use a combination of methods, as they feel appropriate at the time. As with so much in the psychic and spiritual world, there is no demonstrable evidence that psychic protection is required, or that it works. However, there is also no evidence that it is not needed, or does not work. Common sense might suggest that if powerful evil entities exist, then imagining a bubble of white light is not going to be enough to keep them at bay. However, psychic people are by nature instinctive and intuitive, and what counts is what feels right, not what is necessarily logical. Ultimately, this is a personal choice. Spiritualists tend to work from a principle that there is nothing in the spirit world which can harm you, therefore protection is an unnecessary distraction which just frightens and intimidates those who could otherwise work with spirit. However, many, if not the majority of psychics swear by protection of some kind. Do entirely as you feel comfortable. Do not be put off using a psychic protection ritual if doing so makes you feel more confident and safe; on the other hand, do not be pressurized into seeking protection if you personally believe it is unnecessary. If your own intent is positive and loving, then whichever choice you make you are sure to be fine. Finding the right home security system is no easy task, partly due to the infinite number of systems available, and partly because only few can optimally secure your property the way you would want. Indeed, there are a number of good security systems out there such as Link Interactive and all it takes is a little research to find the perfect one that complements your needs. However, you will need to ask yourself a few questions before embarking on anything. For starters, is the best home security system necessarily the most expensive? Is a wireless system the most ideal? Let’s have a look at some of the aspects you should consider when shopping for a quality home security system. There is no one-size-fits-all solution when it comes to home security systems as they vary greatly in regards to the features they pack. For instance, you may be seeking a simplistic DIY system with basic features such as smoke and motion detectors. Such systems can easily be purchased at your local hardware store and installed easily. They come with programmed keypads that alert you when the wrong code is entered. On the flipside, you can opt for more sophisticated systems that are monitored round the clock by a specific security company. Such systems allow you to choose the features you want installed ranging from basic smoke detectors to temperature gauges that alert you when your furnace is broken. If you decide to settle for the more sophisticated home security systems, then it goes without saying that you will have to choose the right company to not only install but also monitor it. If this is the case, how therefore do you find the perfect fit? Well, you can begin by asking the prospective firm whether its personnel is fully trained and certified. Besides this, ask for quotes to get an idea of how much you will have to part with, alongside the business license. As stated earlier, home security systems vary greatly not only in regards to the features they entail, but also the price tag attached to them. Basic DIY features can cost anywhere from 10 bucks to a few hundred dollars. With the sophisticated monitored home systems though, you will have to subscribe to a monthly fee in addition to the initial cost of purchase. All said, the perfect home security system is one that not only knows all members of your family, but one that optimally enhances security which is in fact, its primary feature. Accurate psychic readings are loved by people of just about every age. Online readings like the ones at Psychic Source might be anything from psychic intuitive or clairvoyant advice, to Tarot card reading to a rune casting to an astrology horoscope. Readings derive from the spiritual power that surrounds you at the moment and undoubtedly can change. Online readings are without doubt distinct within their make-up, delivery and effects. Good luck also is not lasting; consequently, there is no use for too much attachment when things are going nicely. But… when things get tough an online reading can be a God send. There are some great testimonials from clients at Psychic Source that prove the value of an online psychic reading. Internet psychic advisers really are a fresh advancement that has shifted from psychic reading from the metaphysical fairs towards the web. 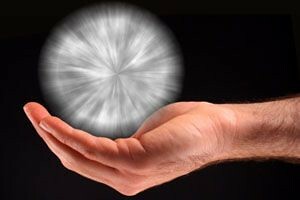 Net psychic sites provide a mixture of expert services much like your typical in-person or hot line telepathic advisers. Internet psychic reading is usually priced by for every minute. Online psychics may be contacted by way of web cam, chat rooms, email or by phone and Skype. Online scams run rampant and they are everywhere, including Internet psychic scams. Psychic readings online can be done by lots of different people and regrettably there are some fake psychics, who are doing false clairvoyant or intuitive readings, and consequently giving true psychics an awful reputation. Good clairvoyant readers should be capable to come up with some exact names for you. For example, names of the your deceased or live relations. No trustworthy reader will try to sell you during a psychic sitting, and if you believe you are in a used car lot instead of in the presence of a gifted reader, your best bet is to walk out or get off the telephone right away. This would never happen to you at a five-star rated network like Psychic Source, for example. Getting an accurate psychic reading is more complex than one might assume. Getting accurate intuitive readings, however, will not be so difficult like in years past. The key to success is finding honest reviews of professional psychic networks. Receiving a live on the web spiritual reading can be very to your advantage or else not valuable whatsoever. It all depends on you finding the best psychic service network- like Psychic Source. Receiving the top reading gives each person with judicious path of action with regard to what your immediate outlook has in store for them. Getting the most precise readings gives an individual a good idea on what the future has to bring. If you are a pet owner and stressed about paying the high veterinary bills for your pet in case of any accident or illness then a pet insurance is the perfect solution for you. This insurance has been especially designed for covering your pet as you can insure your pet for getting a sense of comfort and re-assurance regarding the safety of your pet. The insurance also prepares you ahead of any accidents as you will get financial assistance when you need money for your pet’s treatment. It is very important that you have the best options to select from when you are considering insurance for your pet as it will help to make the final decision. The most important factors that you need to consider is the age of your pet because younger pet have lower premium as compared to older ones. Your pet breed is also an important factor that the insurance company will take into consideration at the time of giving an insurance quotes for your pet. There are some pet breeds that are highly prone to attracting diseases as compared to others and hence their insurance premium will be higher. Your neighborhood or the place where you live will also be taken into consideration at the time of getting an insurance policy and if you are living in a neighborhood that has higher tendency of increasing diseases or infections that the risk will be higher which eventually will increase the premium rate. The insurance company will also get information about the area where you live because if you are living in a busy or noisy area where the chances of your pet accident is high then you will need to pay more premium for the insurance. The medical records of your pet is of utmost importance for the insurance company to know as they will look at the medical history and past illnesses of the pet before providing an insurance policy for them. There are different kinds of pet insurance coverage as the insurance policy will vary in price and hence it is very important that you look for a policy that suits your budget and health needs of your pet. You will also need to take into account the cost of an insurance plan so that you can get an insurance that fit your budget perfectly. © 2019 Evil Beaver. All rights reserved.